Final list of claims approved by GM’s attorney team lead by Kenneth Feinberg confirmed 51 death claim, 8 sever injury claim and 69 claims for less severe damages to passenger’s health. Comparing to previous report there is one more fatality and two more less sever damage claims. 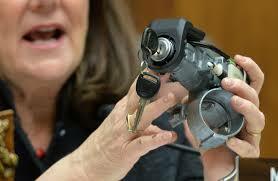 Here you can find a PDF with official data about GM’s ignition switch recall. GM planed to end end the claim period earlier, but under the pressure from US Senators this period was prolonged for one more month. Kenneth Feinberg talking in front of his attorney team also stated that all settlement offers were accepted. There are 1,103 more claims that are under review at this moment out of which more than a hundred are death claims.